Both StringBuilder and StringBuffer classes are there for just this reason, and you can see that in our performance comparison. StringBuilder is winner and fastest ways to concatenate Strings. StringBuffer is close second, because of synchronized method and rest of them are just 1000 times slower than them. Here we will see example of all four ways of concatenating Strings in Java. Easiest way of joining multiple String and numeric values in Java. Just remember that, when you have two or more primitive type values e.g. char, short or int, in the beginning of your string concatenation, you need to explicitly convert first of them to a String. For example System.out.println(200 + 'B' + ""); will not print 200B, instead it will print 266, by taking ASCII value of 'B' and adding them to 200. All + operator are translated into several StringBuilder.append() calls before final toString() call. Since StringBuilder(String) constructor allocates a buffer with only 16 char, appending more than 16 characters will require buffer reallocation. At last, StringBuffer.toString() calls create a new String object with a copy of StringBuilder buffer. This means, to concatenate two String, you will need to allocate, one StringBuilder, one char array, one String object and another char of appropriate size to fit your input value. Imagine if you are doing this thousands times in your application, it's not only slow but also increase work load of Garbage Collector. 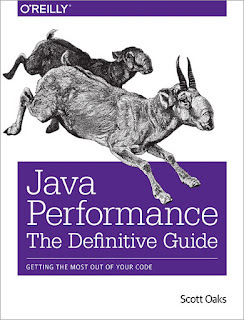 You can also see Java Performance The Definitive Guide By Scott Oaks to learn more about how to do performance testing in Java and how to tune different things in Java ecosystem to get the best performance from your Java application. Concat(String str) method concatenates the specified String to the end of this string. I have hardly seen this used for concatenation, though. Inside, it allocates a char of length equal to combined length of two String, copies String data into it and creates a new String object using private String constructor, which doesn't make a copy of input char, as shown below. * Package private constructor which shares value array for speed. * this constructor is always expected to be called with share==true. * String(char) constructor that makes a copy of the given char. The performance of concat() method is similar to + operator and I don't recommend to use it for any production purpose. This was the proper way to concatenate multiple String, integer, and others prior to Java 5 when StringBuilder was not available. It's much faster than + operator and concert() method. The only drawback of this class is that all it's append methods are synchronized. Since we hardly share temporary string in a concurrent environment, the price for thread-safety is not desired in many cases, that's where StringBuilder is used. It works similar to StringBuilder synchronization. It also provides several overloaded append() method to concatenate integer, char, short etc. This is the best way to concatenate String in Java, especially when you are concatenating multiple Strings. It's not thread-safe, but you hardly need that during String concatenation. In next section we will see performance comparison of all these 4 ways to concatenate String in Java. here is a sample Java program to find out which method gives us best performance for String concatenation. Though using + operator along with empty String is most easiest and obvious way to concatenate multiple String and numeric in Java, you should not use that, especially inside loops. Always use StringBuilder for string concatenation, the class is there for a reason, and if you are still using StringBuffer then get rid of that, because most of the time you don't really need thread-safety overhead of StringBuffer. Unfortunately concat() method is only good when you need to concatenate exactly 2 strings. In short, always use StringBuilder to concatenate Strings in Java. From Java >1.6 plus operator is changed into StringBuilder by compiler. So what is the point in making code less readable by StringBuilder? @Michal, there are cases where using + operator is not optimal e.g. concatenating in loop, because Java will internally create and destroy StringBuilder instances. Sometime its better to have one StringBuilder object outside loop and just append on it while iterating over loop, instead of using + operator. It depends on one's preferences and/or string you are creating but using StringBuilder might be far more readable than + operator. These results were MUCH different from your examples of *appending* to an existing string. In fact, using the '+' method was 100 times faster! its giving strange result. Making StringBuffer fastest ? Hello Shashank, which version of JDK you are using? StringBuffer is not really a problem in single threaded environment because uncontented lock acquisition has become faster with latest JVM and JIT version. A few corrections to make the test fair. 1. Both StringBuilder and StringBuffer need to produce their merged string result by calling toString() inside the timing fence. 3. The working String s needs to be reset prior to each test that uses it. 4. Appending an integer to a String is not a good test of the string functions. It is possible a bulk of the time measured will be the conversion of the integer to a string. This conversion is constant on all the tests. I would recommend appending a constant String value rather then a converted integer. Lastly - I find all good benchmarks should verify the functions are producing identical results. The testing should include the display of a hash code of the function results. In method 2, what is variable value refers to ? Hello giri, it refers to instance variable value in the String class. See the full code from java.lang.String class in Eclipse.